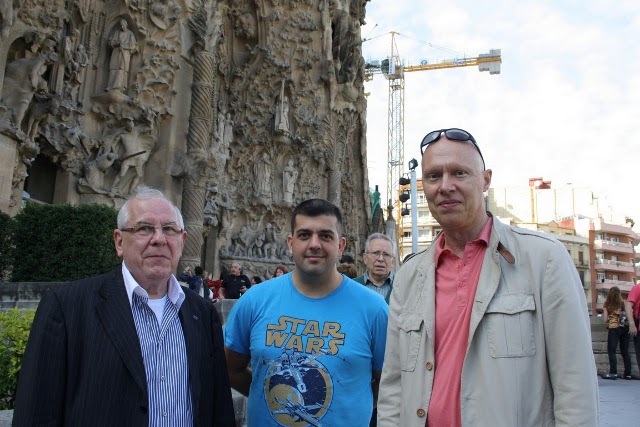 The first face to face meeting conducted by the European Radio Amateurs' Organization (EURAO) enjoyed an ideal climate for dialogue and received praise from all participants for the wonderful hospitality of Barcelona. Although the agenda focused on Saturday 29 October, attendees were arriving from their respective countries through Friday, joining together at an informal dinner of typical "tapas" and traditional dessert of the season (Halloween): "panallets", where some topics began to be treated colloquially. On Saturday morning the session began with a brief presentation of the various attending member associations: FEDI-EA, URC, VRA and TRGM. They excused their presence: CISAR, UFRC and HAG. Followed the EURAO situation, from both points of view: social and economical, the state of relations with other organizations, promotional actions, etc. 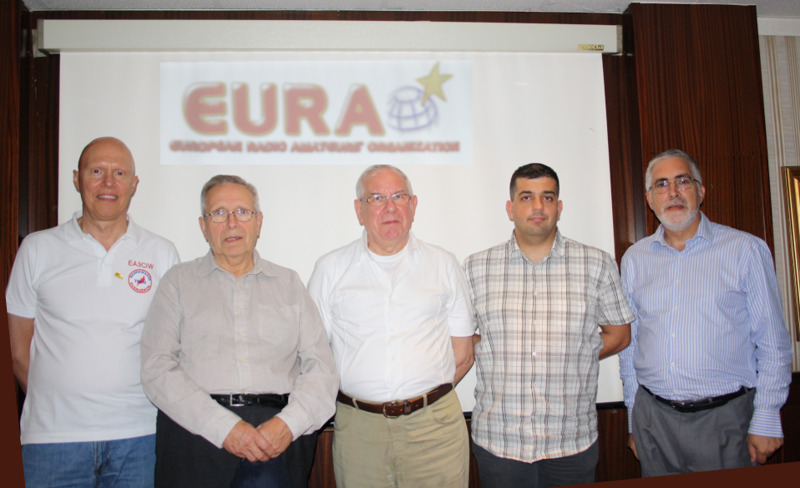 In the afternoon the shared projects were discussed, current and future ones, as EuroBureauQSL, the presence in Ham Radio 2012, digital networks across borders, etc. To finish off the day, a dinner in the cellar of a restaurant in Barcelona put the icing on a busy day of work. On Sunday, more relaxed, a sightseeing tour of the city and a "paella", while attendees were taking the way back to their places of origin. It could not miss the family photo, with the Sagrada Familia in the background, where you can find: ON7GZ, F4FCE, EA3CWZ and EA3CIW. Behind the camera: CT1BAT and his XYL CT1YCZ. During the Meeting: EA3CIW, EA3CWZ, ON7GZ, F4FCE and CT1BAT.